Last week I asked all of you which play by Shakespeare I should read this summer. And the winner is Macbeth. I’m really excited to read this one since so many of you said that you loved it. Thanks for all of the votes! I am hoping to catch some productions of Shakespeare’s plays this summer in London. If any of you know of some please let me know. It would be cool to read Macbeth and then to be able to attend a live performance. I had several reading goals last month. I read Mistborn: The Final Empire by Brandon Sanderson for a group read hosted by Carl. We have two more discussions left for this book. In addition I read Coventry by Helen Humphreys for a readalong hosted by Caroline. I am almost done with Eldest by Christopher Paolini. The one book that I totally failed with last month was the one by J. M. Coetzee. I started Dusklands but had a hard time getting into it. I will add it to my reading goals for May since this book is on my 1001 list and I can’t skip it. All in all I am quite happy with my reading in April. When I set my goals I thought it would be a relaxing month, but my calendar filled up quickly. This may sound like an excuse and it is. But I read for pleasure so I don’t get down on myself if I don’t reach all of my goals. Life is stressful so I see no reason to add more stress. Also I like to set goals since I know I will work towards them. I may not succeed 100% but I do make progress. And progress is better than not accomplishing anything at all. For this month, I hope to read three novels. I will do my best to get into Dusklands. Also I have signed up for another group read hosted by Carl. We will be reading Neverwhere by Neil Gaiman. If you would like to sign up please visit his blog. Also, I hope to read David Copperfield by Charles Dickens. 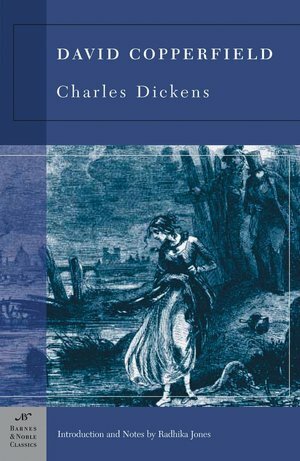 I didn’t read any Dickens last month and I really missed him. Time to get back on my project of reading ten of his novels this year. This one will be my fourth novel. This entry was posted in Books and tagged Brandon Sanderson, Charles Dickens, Christopher Paolini, Coventry, David Copperfield, Dusklands, Eldest, Group Reads, Helen Humphreys, J.M. Coetzee, Macbeth, Mistborn: The Final Empire, Neil Gaiman, Neverwhere, Reading Goals, William Shakespeare. Bookmark the permalink. Wow…that is a great endorsement. I hope I love it. So far I am really enjoying his novels. I read Great Expectations years ago and loved him, but now that I am really concentrating on his novels I am finding them so pleasurable. He really knows how to tell a story…and his character development is amazing. Enjoy your reading of Macbeth its been a long time since I read it but I enjoyed it. I love macbeth! I was in a summer Shakespeare play and I was one of the witches. It was a very interesting part! That’s pretty cool! Acting was never my thing since I always freeze. I could play a good tree I think. I’m really looking forward to reading it. I’m bad, I never cared too much for Shakesphere, even though I realize he is a master, but I must say, my oldest son is nuts over his work. 😉 I hope you enjoy MacBeth. I haven’t dabbled too much into his works but I thought I would give it a go. It will be an interesting adventure for me I think. Thanks! I hope you will like Neverwhere. I enjoyed it a lot. Thanks again for participating in my readalong. I’m pleased to see that you stick to a book even though you find it hard to get into it. Maybe you wouldn’t if it wasn’t on the list, that’s not importnat. I find it so weird seeing people constantly congratulating each other on giving up. I’m even planning on doing a post. While I don’t think one should masochistically stick to everything, I have a feeling people give up too easily. I for one have often been rewarded when I finished a book or only completely understood it if I did it. I have put aside more that one book and waited for a better moment but very rarely really given up. I don’t know if I’d congratulate people for giving up on a book, but I fully understand why some people put them down. To be honest, I wish that I was able to put some books down without finishing them. Hi Adam…looks like I have the same problem as you and Caroline. I have to finish a book, even when I don’t really like it. But I figure I already invested the time, I might as well know what happened. To be honest, I have wished the same occasionally but more often I thought it was worth finishing them. If I had the misfortune to pick something which is really bad, I would give up and have done so a few times but recently I just saw too many people congratulating others when they gave up and it strikes me as odd. I think it depends on why you give up and what kind of a book. Macbeth is pretty heavy, I hope you will enjoy it. Me too! Maybe I should follow it up with something lighter by him. We’ll see how the first one goes though. Read something lighter at the same time. I really enjoyed Wuthering Heights and I’m excited to hear what you think about it. Oh drat! I meant to respond to your Shakespeare post! Was going to say Midsummer Night’s Dream. Actually, noticing the discussion above – I no longer finish a book if I’m really not enjoying it – I always used to but I figure life is too short and there are too many books to read! I hope you enjoy Neverwhere – I read it recently and it was brilliant. I’m almost tempted to read it again and I’m sure I’m going to want to join in! From a selfish point of view, I do hope you join in on the group read. I always enjoy hearing your thoughts on the books. I wish I could set a book aside. I think to myself that there are a gagillion other books, but I want to know the end and to see if the author can redeem him/herself. And I’m stubborn. Thanks for the link…I’ll have to read it when I start Macbeth! I’m pretty excited about it really. So many love it and I know it is quoted a lot. Thanks for the encouragement! Three novels! – well, I know you will be able to do it. Awesome. Macbeth is what I read a long time ago in college. I haven’t seen it. I’ll check it out. Thanks! After you read the play make sure you see Polanski’s movie version. I just found Neverwhere recently during the Book Exchange here in Singapore a week ago. I’m excited to read it as well and see whether we have similar thoughts about the book. Good luck with Macbeth! I’m pretty excited to see what the hub bub is about Neverwhere. So many people have told me that they love it and that they love Gaiman. Soon I’ll know why. I hope you enjoy it and if you can, join the group read. When is the group read? Would love to join that one. Too bad my bet didn’t win the poll, :D. But Macbeth is also good. The story is very serious. Many have told me that Macbeth is quite serious. I’ve heard that David Copperfield is one of his best. I hope it is, but he is such a great writer it might be hard for me to have a favorite after my project is complete. Thanks! Neverwhere is one of my all time favorite books. It is the one that introduced me to Gaiman writings. I’ve read it a number of times and it is worth it every single time. I can’t wait to see what you think of the book. I have the tv series of Neverwhere! It was such a strange show – my dad made us watch it. Really stuck in our heads! The Angel Islington scared me, and the scary beast thing! 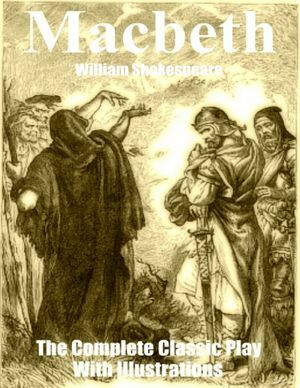 We read Macbeth at comprehensive school, along with the tempest, midsummer nights dream, Romeo and Juliet and Julius Ceaser. Seem to remember Hamlet a little as well. Macbeth and the tempest are my faves. Hope you enjoy them, the occult background of Macbeth makes it more enjoyable than most of Shakespeare’s stuff. I am looking forward to Neverwhere. I didn’t see the show and from the intro I read by the author he wasn’t all that pleased with all the stuff they cut from the show so he ended up favoring the novel. Surprisingly we didn’t read a lot of Shakespeare at my school…or at least I don’t remember reading him. Macbeth should be fun and I look forward to all the occult background. it was a show that was on about 20 years ago, maybe more… Always got the feeling it was much more epic than the series. Very clever idea though – ahead of its time certainly.